Renee is a Solicitor based in P&E Law’s Cairns office and has a wealth of experience across the firm’s core practice areas. 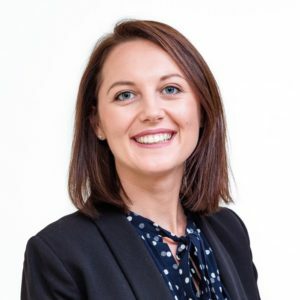 Renee started as a law graduate in the Maroochydore office before moving to Far North Queensland in 2018. Renee has a professional and academic background in environmental management and has experience in environmental assessment and reporting. Outside of work, Renee loves sailing/cruising on her yacht, snorkeling, camping, eating Japanese cuisine and watching movies. Advising on matters under the Planning Act 2016 (Qld) (and the repealed Sustainable Planning Act 2009 (Qld)) including planning litigation, use categorisation, lapsing, minor changes and conditions. Advising in relation to offences under Local Laws, Nature Conservation Act 1992 (Qld), Planning Act 2016 (Qld), Fisheries Act 1994 (Qld) and Environmental Protection Act 1994 (Qld). Advising on environmental authorities under the Environmental Protection Act 1994 (Qld), including ERA categorisation, regulatory requirements and conditions. Advising, drafting and negotiating agreements for coal seam gas and coal mine developments on behalf of landholders, including Conduct and Compensation Agreements and Make Good Agreements. Advising on environmental law issues relating to groundwater, land rehabilitation, erosion and sediment control, noise and dust nuisance and vegetation management.